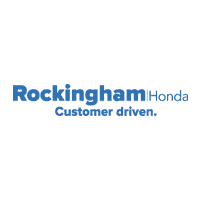 Welcome to Rockingham Honda – Our “Customer Driven” approach has made us the 2018 Honda Dealer of the the Year for New Hampshire (DealerRater.com). As a member of the Greater Salem Community, our mission over the past 30 years has been to provide the best customer experience throughout our dealership. Emmett Horgan and a small team of dedicated employees opened Rockingham in 1985. Since then, we’ve considered ourselves part of the fabric of the community. It is in our DNA to support such local organizations as the Salem Boys and Girls Club and our local Salem Animal Rescue League. Rockingham is a family business with Emmett’s son Ryan Horgan now involved in operations. The construction of our brand new state-of-the-art facility at 402 South Broadway, Salem, NH 03079 was concluded in June of 2015 and is officially open for business. It has been a long journey, but we are excited to serve our customers even better in our new home with more vehicle inventory, a larger service department and the same friendly staff you’ve known for years! Whether you’re thinking about purchasing your next new Honda vehicle like the new HR-V crossover, getting your current vehicle serviced, or stopping by to say “hello” to Brody, you’re always welcome to walk in and ask any questions you may have.